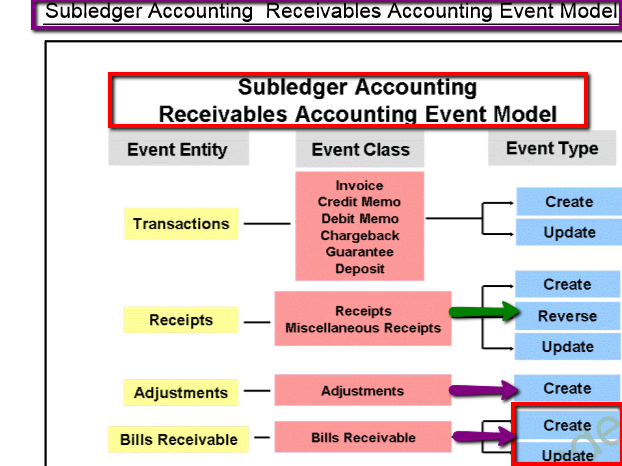 Subledger Accounting Receivables Accounting Event Model An event entity enables Oracle Subledger Accounting to handle the accounting for similar business events in a consistent manner. Each event entity is associated with one or more event classes. An event class represents a category of business events for a particular transaction type or document. 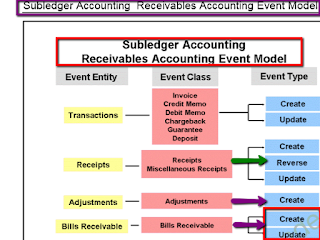 Event classes group similar event types and enable the sharing of accounting definitions. An event type represents a business operation that you can perform for an event class.